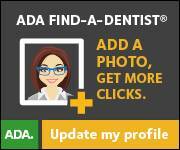 Looking for a Dental Job? The Power of Three: Helping all Members Succeed! - The Seventh District Dental Society is a component of The New York State Dental Association and The American Dental Association. The Society represents over 800 member dentists in the New York State counties of Cayuga, Livingston, Monroe, Ontario, Seneca, Steuben, Wayne and Yates.